This is the story of Captain William C. Frodsham, Jr., who - shortly after the Japanese attack on Pearl Harbor - enlisted in the U.S. Army Infantry, where he excelled in basic training, became a junior officer, and eventually led a combat boat team ashore on Omaha Beach. "Five-plus unequivocal stars to The Road to War. It'san extraordinary read that everyone should enjoy." "Personal, inspiring & insightful. This book is precious." 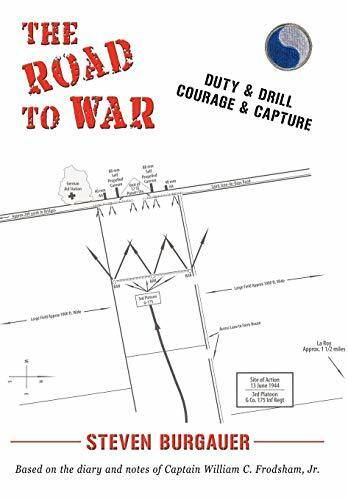 "An intimate and often dauntingportrait of one man's life-changing confrontation with war, The Road to War: Duty & Drill, Courage& Capture is highly recommended."